The insolvency and bankruptcy code was enacted in May, 2016 to bring a regime for the revival of the companies and to protect the interest of all creditors and stakeholders. As per the resources more than 4300 applications for the insolvency resolution process under IBC have been filed in various benches of NCLT. Both of the legislations Real Estate (Regulation and Development) Act and Insolvency and Bankruptcy code have been enacted for specific relief to the aggrieved whether it’s homebuyer or creditor who are owed some amount from the corporate debtor. Approaching RERA has been rightly helpful for the homebuyers who have not received the possession or refund of the amount paid by them to the builders or developers. The authorities under RERA have passed various orders in favor of homebuyers either directing the builders to refund the amount or deliver the possession of the unit within a limited time period. RERA has been more or less been inclined towards project completion due to which the position somehow remains unchanged. Where the RERA authorities have passed refund orders but unfortunately there is deficiency in the execution arm of RERA authorities. Due to lack of proper execution of orders passed by the RERA authorities, the homebuyers have not been able to got the necessary relief. The Insolvency Law has come to the rescue of homebuyers by bringing an amendment dated 6th June, 2017. Through this recent amendment dated 6th June, 2017 under IBC, the homebuyers have received the status of financial creditors. Being the financial creditors they can approach the National Company Law Tribunal (NCLT) to commence the Corporate Insolvency Resolution Process against the real estate developer’s company. IBC has proved to be an efficient law in getting the refunds by submitting their claims before the Interim Resolution Professional or Resolution Professional. One such progressive protection of interests of homebuyers can be seen in the case of Jaypee Infratech where homebuyers were recognised successfully under IBC. Once an insolvency petition against the developer’s company is admitted all the proceedings under RERA or any other law are stayed. According to section 238 of the IBC, the IBC has the overriding effect which comes into effect whenever there is some inconsistency between some law or IBC. More homebuyers are approaching NCLT under IBC with a higher hope of getting their money back from the developer. Also, being a time bound procedure IBC has proved to be a rational choice in receiving the refund of the money they paid to the builder/developer. Both the legislations have to go hand in hand and maintain a balance between the two acts, to protect the interests of homebuyers. More developments are expected in the IBC so as to widen the regime of the Insolvency laws. IBC in a stricter sense curb down the fraudulent corporate debtors and real estate developers’ companies due in a time bound manner. 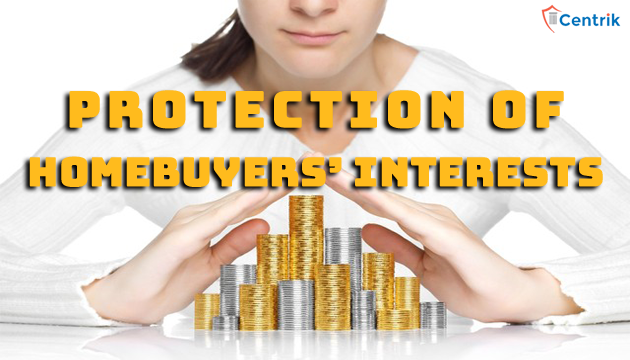 Therefore, all the creditors specially homebuyers are relying more on the IBC for getting the required relief which is not possible under any other recourse.